TheLEADERIn the second quarter of this year, Vietjet saw the robust growth from international flights when it transported over 1.6 million people, an increase of up to 96 per cent. According to Vietjet Aviation JSC’s business results, its second-quarter pretax profit jumped after its international flights transported more people. 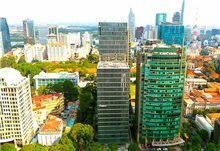 Vietjet carried over 5.8 million people, an increase of 28 per cent, of which 4.2 million domestic travelers increased by 12.7 per cent, and more than 1.6 international passengers, an increase of 96 per cent over the same period of 2017. In the last quarter, Vietjet’s air transport earned $41 million in pretax profit, rising 44 per cent year over year and its revenue reached nearly $369 million, an increase of 52 per cent from a year earlier. Its satisfactory results have already come from record sales of in-flight food and insurance purchases. 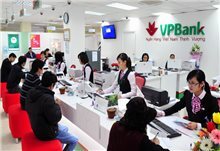 Representatives of Vietjet said that the company has worked out a long-term strategy that is to maintain high growth rate, reduce operating costs, gradually increase international routes and especially, raise more revenue from non-ticket sources such as in-flight foods, check-in baggage fees or souvenir sales. In the second quarter of 2018, average ancillary revenue per passenger was nearly $16, the highest ever. 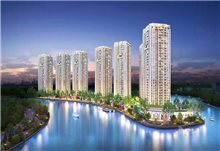 Viejet’s strategy in the coming years is to focus less on "golden lines" referring to high passenger occupancy rate routes such as Hanoi - Ho Chi Minh City because of ongoing competitiveness. The airline will seek opportunities in new routes such as international ones in North Asia (China, Taiwan, Korea), Japan, Indonesia and India. 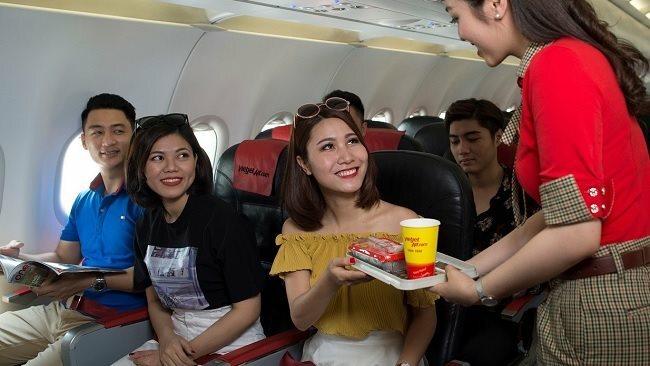 Vietjet plans to serve about 30 million passengers in 2019 and to meet this increased transportation demand, the airline is speeding up the reception of new aircraft. Since the beginning of 2018, Vietjet has received four new Airbus A321 aircraft. In the second half of this year, it expects to add 13 aircraft to reach 66 in total. By the end of 2019, the figure will be 78. 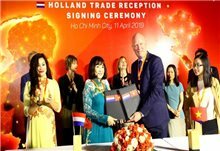 In the middle of July, Vietjet signed agreements to purchase 100 Boeing 737MAX aircraft worth US$12.7 billion and 50 Airbus A321 NEO worth $7 billion, assuring that by 2025 the company’s new fleet will be synchronized, well-equipped and fuel efficient, serve for the plan to establish aviation alliance in the region and in the international market. Both Vietjet and its rivals such as state-owned Vietnam Airlines are pivoting to overseas passengers to achieve strong growth. Meanwhile, FLC Group’s Bamboo Airways plans to use its aircraft to operate short-haul international flights to Vietnam.